Q. Why is it that couples should consider hiring a wedding planner instead of doing everything themselves? A. A wedding planner has insider knowledge and experience – this helps with couples who have no idea what to do and where to start. For example, we have a full list of what are some of the possible expenditures to budget for, and we are able to plan out the actual day schedule with detailed roles and responsibilities, as well as guide the helpers and bridal party on the actual wedding day. Q. Some couples find that they bond over the entire process of wedding planning – how can a wedding planner contribute positively to this experience? A. A wedding planner guides the couple by facilitating the flow of the planning and decision-making, so it makes it more enjoyable for the couple as stress is relieved and they get to bond through the experience. Sometimes we provide a little homework for couples and they get to work on it together – it makes the entire process even more fun and fulfilling. Q. How does Chère: Weddings & Parties set itself apart from the crowd? A. We are transparent, vibrant, flexible and open to ideas. 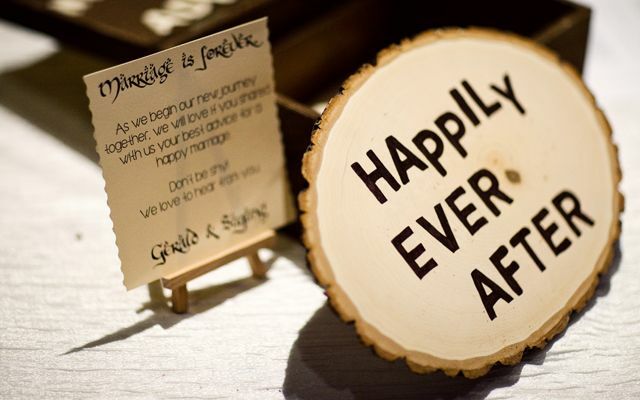 We listen to couples and build on their vision to create the wedding of their dreams. Q. What preparation tips could you give to couples before they meet with the wedding planner? A. It’ll be good to come to the meeting prepared with some ideas to throw to the planner and see what he/she can come up with on the spot. It’s a good way for the couple to gauge if they are on the same frequency as the planner. Our direction for the first meeting will be for the couple to try to get to know the wedding planner, and find out if they can get along well with the planner as it is going to be a rather long time commitment up to the wedding day itself. Couples may consider gathering favourite photos to show to the planner, and having a general budget for the entire wedding in mind. Q. How long before a wedding should a couple hire a wedding planner, and why? A. Ideally, 10 to 12 months ahead. There will be enough time to explore most items, such as venues and vendors. The planner can get to know the couple more through the planning and sourcing process, and this helps with the conceptualisation. Q. What are some of the smallest details a wedding planner can take care of, that couples who plan their own weddings often forget about or neglect? A. Catering and payment of vendors on the wedding day – basically, vendors’ welfare. Also, the packing of the guest book and registration lists for reference after the wedding. There are also the details of traditional customs, such as the Chinese tea ceremony and so on.